While you are visiting your favorite Saugatuck, Michigan Bed and Breakfast, explore the beauty of Lake Michigan, where you will discover an abundance of natural beauty, history and outdoor activities for every season. Check out some of the BBOnline picks and then visit our Facebook page and share with us some of your favorite things to do in Saugatuck, Michigan! Tucked away along the Lake Michigan shoreline is Saugatuck Dunes State Park, a day park that features an abundance of outdoor activities including seasonal cross country skiing, year round hiking, sunbathing and seasonal water play. The day park offers a designated picnic area as well as a picnic shelter which may be reserved. There are four main trails for hiking, three of which (Saugatuck Dunes Beach Trail, Livingston Trail and the North Trail) are approximately two and a half miles long and the Saugatuck Dunes South Trail which is five and a half miles long. It is not uncommon for kayakers to see Bald Eagles on the Kalamazoo River in addition to deer, fox and an abundance of waterfowl. Consider spending the day kayaking along the Kalamazoo River! Big Lake Outfitters of Saugatuck offer single and tandem kayaks by the hour, day, weekend and week. Reservations are strongly encouraged, especially during the summer months. 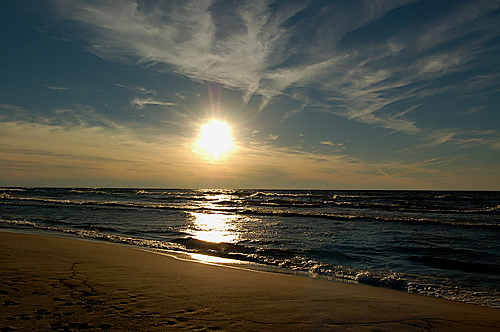 Mount Baldhead and Oval Beach provides a wonderful location to spend the day in the sand and surf on Lake Michigan. Oval Beach has been voted one of the top 25 shores on the planet. Work up a sweat by climbing the steps up to Mt. 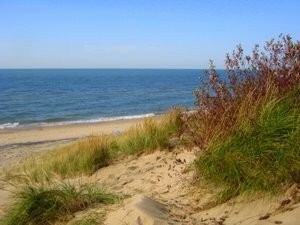 Baldhead; there are nearly 300 to the top, and then down to the sandy beach and to the clear blue water. Visitors can find refreshments at the concession stand and restroom and picnic facilities. 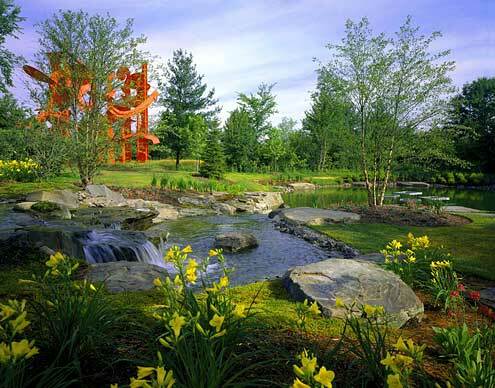 Just a short distance from Saugatuck is the Frederik Meijer Gardens & Sculpture Park in Grand Rapids where you will discover not only gardens, but woodlands a butterfly house and carnivorous plant house. Plan to spend a day exploring a kaleidoscope of flowering beauty as well as the impressive sculpture works throughout the park including more than 80 creations by Lichtenstein, Rodin and Segal to name a few. The Frederik Meijer Gardens are well worth the 40 minute drive north on I-196. The gardens are open from 9am to 5pm daily, with extended hours on Tuesday from 9am to 9pm and limited hours on Sunday from 11am to 5pm. General admission for Adults ages 14-64 $12; Seniors ages 65 and older $9; Children ages 5-13 $6; Children ages 3-4 $4 and Children ages 2 and younger FREE.